Yes, I am the nut perusing the wood section of the thrift store like a sleuth looking for diamonds. They are, after all “diamonds in the rough”, right? I’m sure many passed this fruity shelf up, but I saw a fun project just waiting. I plan to turn this into an upcycled farmhouse coat rack. Do you see it? Okay, so I’ll admit that the food carving on the front wasn’t that bad, but it had that “Made in …. ” look to it. The faux dental molding was kinda meh, and I saw the potential for added function. I was kinda like…let’s change it up! 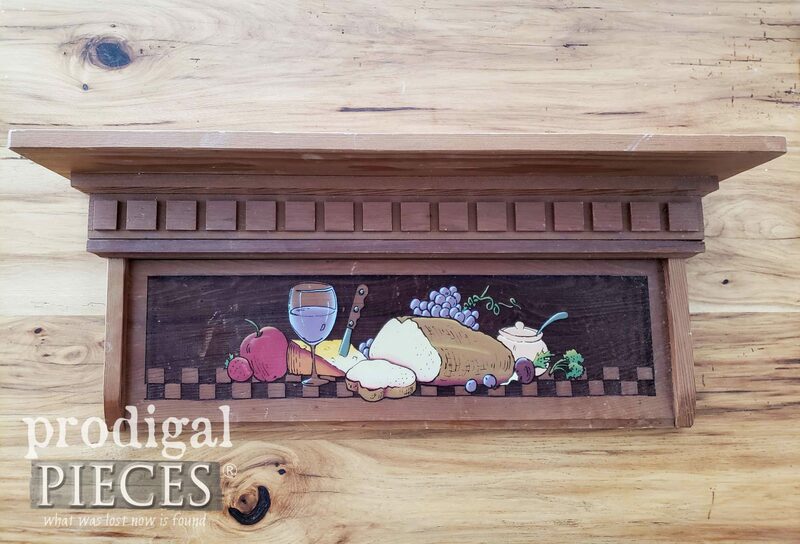 First, I dug into my stash to find a piece of beadboard that would allow me to cover up the food. I’ve created a video tutorial for those of you who like to have a live visual (see below). I know it helps me at times too. I cut it to size using my jigsaw . The key was to set my jigsaw blade at an angle when I made the bottom cut so that the bottom edge wouldn’t stick out bluntly. Once it was cut, I sanded it down with my Corner Cat . I love these battery-operated tools! Next, I used my panel adhesive to add a bead on the back and attached the panel to the front with my nailer . I demonstrate it in the video below. 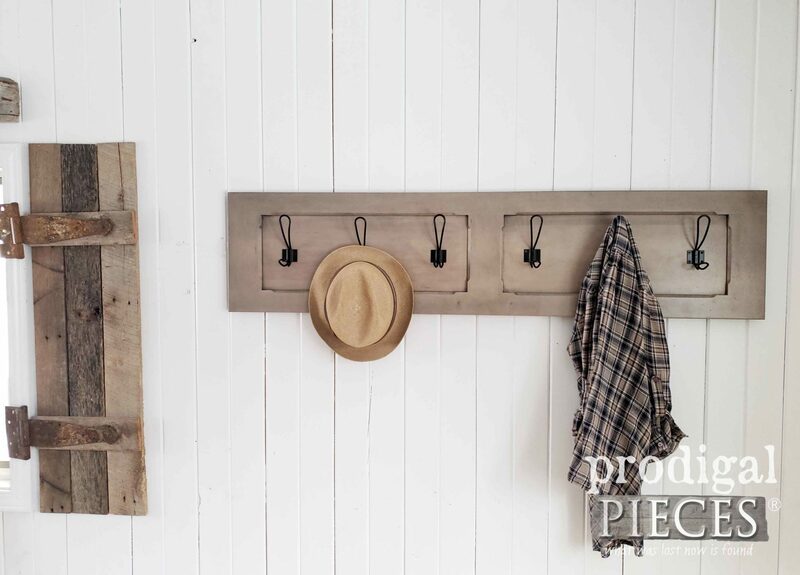 Once that was done, I wanted to make my upcycled farmhouse coat rack look cohesive. Of course, paint works wonders, so I used my Fan Brush to give a few coats of paint. And, what is a coat rack without hooks, right? I’ve had many tell me they have a hard time getting hooks spaced right, so I’m sharing how to do it. Then, using my pencil, I mark the holes and pre-drill pilot holes using my drill . It’s best to use a drill bit slightly smaller than your shank of your screws. 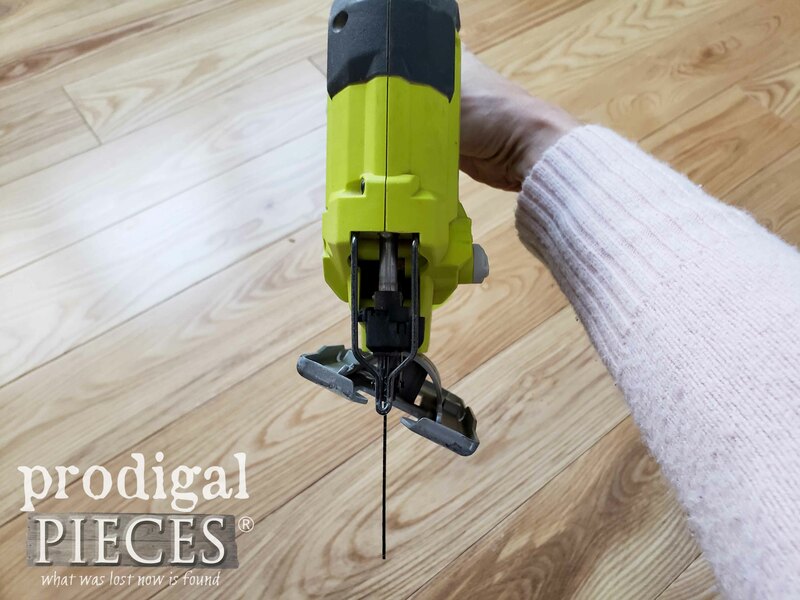 We pre-drill to prevent the wood from splitting as well as making our hook placement much easier. 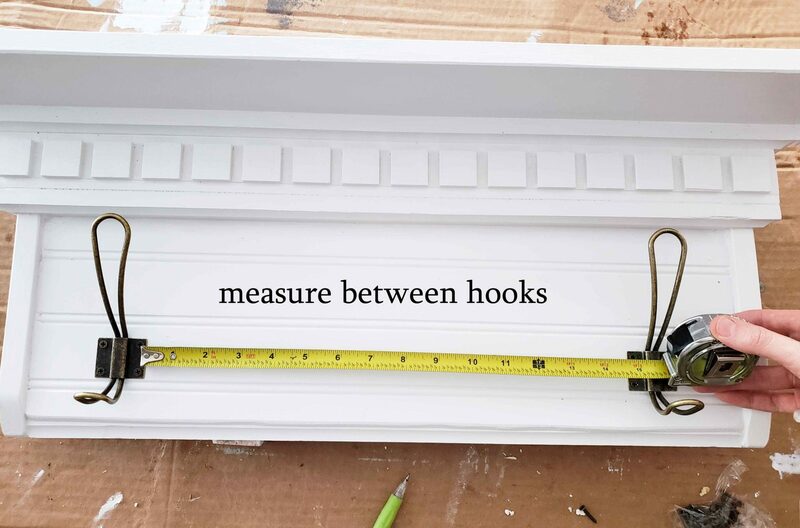 Next, measure between your two outer hooks. Last, take that measurement and divide it by the number of spaces you will have to fill. For instance, I wanted to add two more hooks, so that would create 3 spaces between the outer two hooks. One other thing I needed to add were some Keyhole Hangers . You could also route them in with a keyhole router bit , but I chose to use my hardware instead. Unfortunately, the keyholes that were already on the back were chewed up and no longer functional. 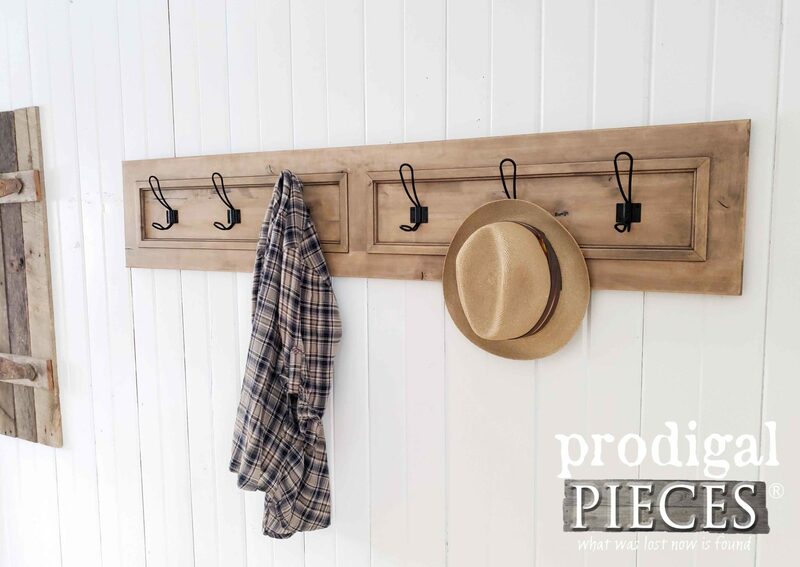 Now our upcycled farmhouse coat rack (or towel rack) is done and ready for a new function with style. The shelf can be used for vignettes or daily-grind drop off. Meanwhile, the hooks sure do add more function that that food did. haha!! 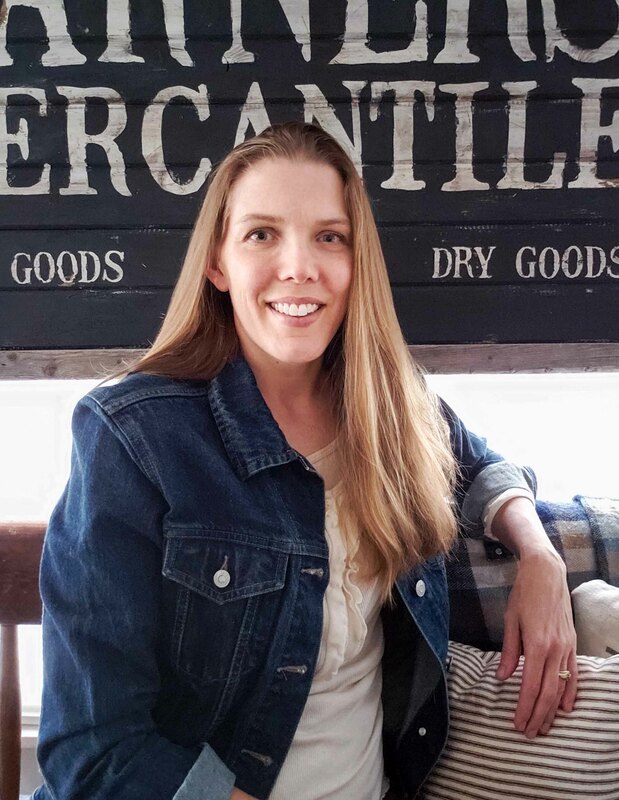 As usual, my goal is to inspire you to maybe shop your home for items that could use a new look and use. 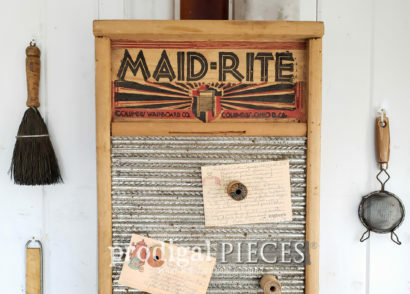 Or maybe even head out for a thrift shopping spree to create your home story. Now, just for fun, I took two oddly long cupboard doors from my cupboard-door-stash-to-end-all-stashes and also made them into coat racks. It was as simple as adding hooks and hanging hardware. …while the other is a weathered gray. I’d say they look like they were meant to be, wouldn’t you? I had fun recreating these unwanted wooden goodies and hope you had fun too. All these coat/towel racks are available in my online shop (white and long rack (All SOLD) for purchase. Time for some giveaway fun! 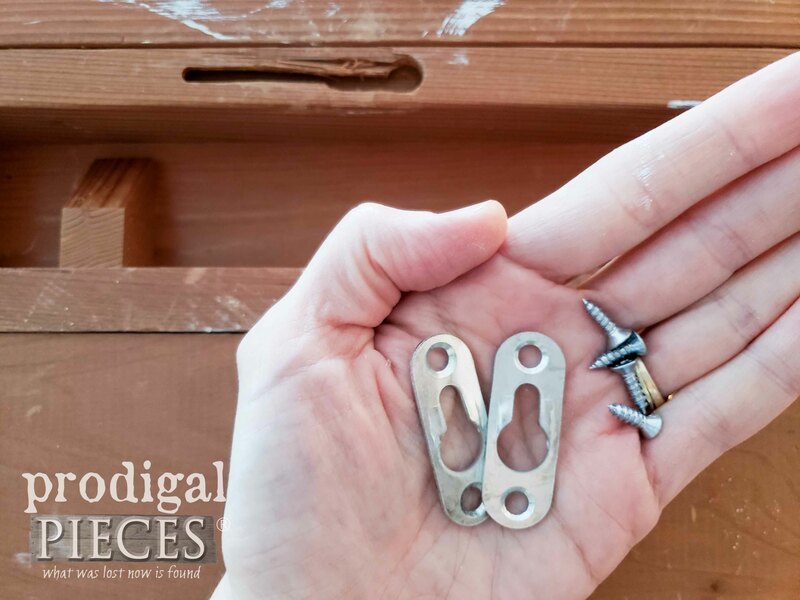 I’ve been so eager to inspire you to give DIY a try and get the right tools in your hands. My motto since a kids has been #toolsoverjewels. Why? Well, why buy when you can create? In order to help you on your own project journey, I’m giving away one of my favorite tools, the Palm Sander with battery and charger . PLUS you will also be getting a handmade canvas sack full of goodies including one of my #trashure mugs, and one of my favorite paint brushes, the Round Brush, that I sell in my shop. Easy entry – just complete the widget below for as many entries as you like (daily even for more entries). Open to U.S. residents 18 years of age or older. Winner will be notified via email and will have 24 hours to respond to claim their prize. Be sure to check your spam! 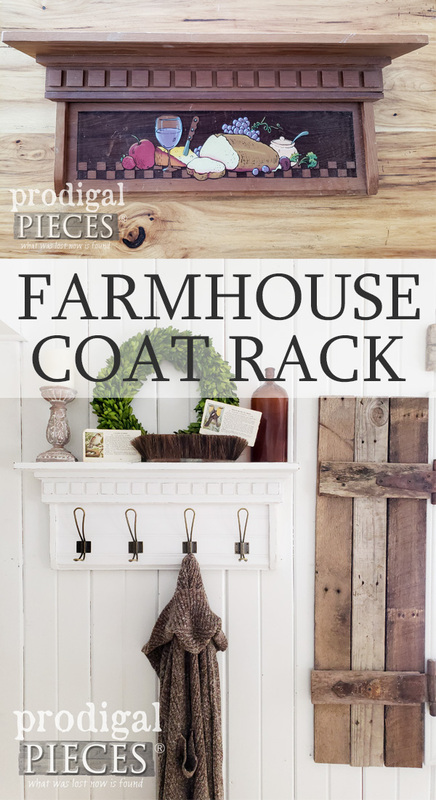 Do pin and share this upcycled farmhouse coat rack. For me, it’s all about inspiring you and others out there. DIY is where it’s at! 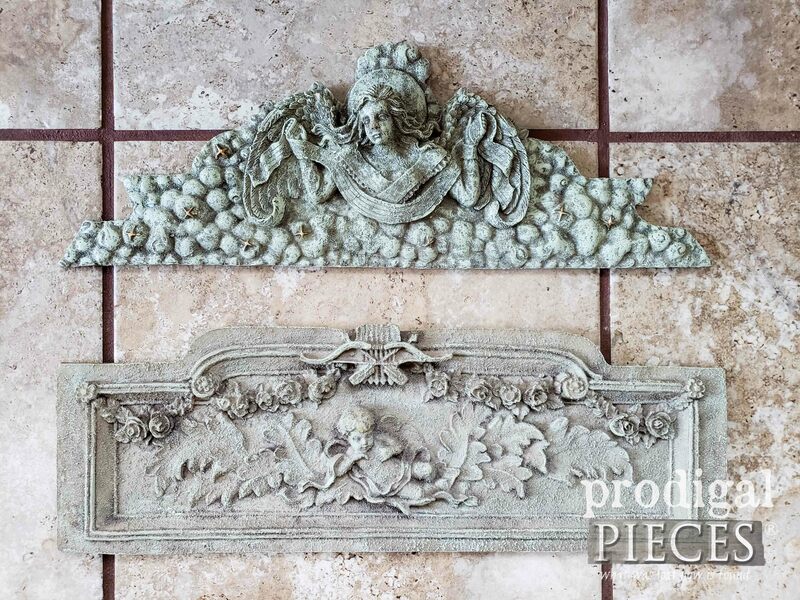 Up next, this pair of plaques are definitely in need of a makeover, don’t you think? See their new look HERE. 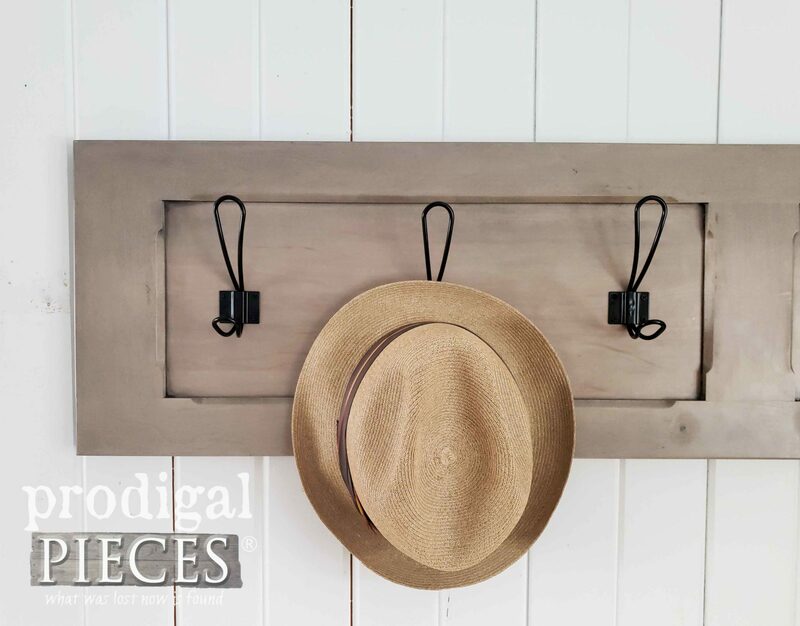 Love the looks of your new hanging coat / hat rack. 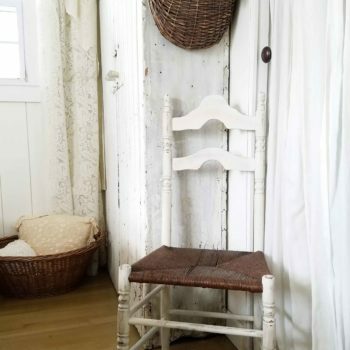 I have a few items that needs sanding including a book shelf unit that my daughter gave me that I want to do for our new great grand daughter to display her books on. Using the palm sander would make it so much easier than using up sheets of sand paper. Thank you for finding that error…fixed it! 😀 Let me know if you have any issues. I really like how the beadbord transforms this shelf. 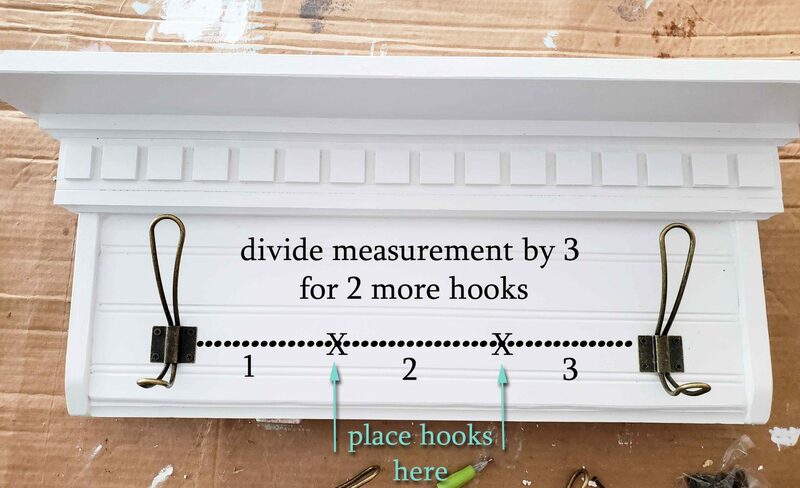 I use the same method as you to place hooks but with an extra step . I will try to be clear ;). I measure the width of a hook and if I have two hook to add, I multiply it by two. Then I substract this value to the measure of the space between hooks already screwed and I divide by 3. The result is the value of the space between each hook. 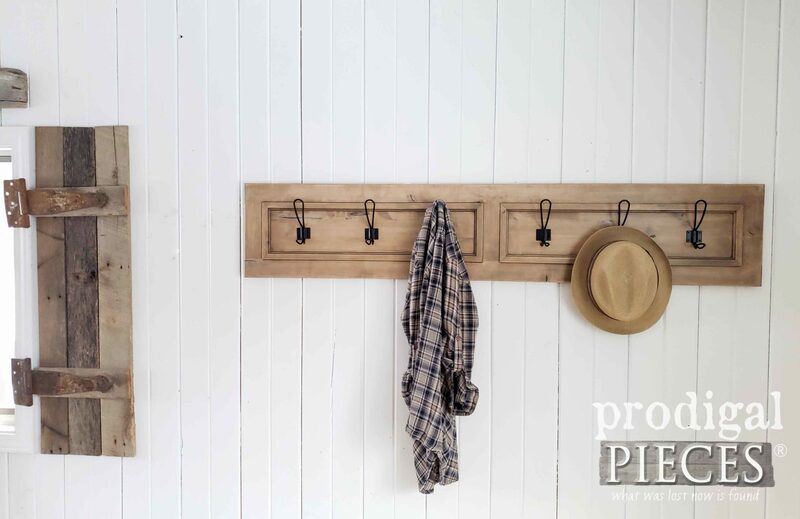 I love the farmhouse coat rack, got to make this one!! Larissa, you’ve done it again! Another great save. Love it. I’m delighted you think so. Thank you! Larissa, as usual you have done a fabulous job! You are so creative! Love reading about all your transformations! Yay!! Thanks so much for the encouraging words, Kim. I’m so happy to hear it. We are currently making laundry sorters for ours and our sons bedroom so we would use the sander to help with those! And I would totally do it while drinking coffee out of that mug! How fun! That will be handy. This is amazing! I would definitely use the sander for this odd tall birdhouse shelf we picked up while thrifting. It’s pretty cheesy looking right now but I can’t wait to repaint it! What a beautiful up-cycle! Definitely will be looking at the “ugly stuff “ on thrift store shelves in a whole new way!!! My sad dining room table has more Knicks ans scratches than I would like to mention! I would use the sander do give my table new life. Thanks for making beautiful things out of other’s trash! You inspire me to be on the look out for more hidden gems at thrift stores and garage sales! I know the feeling! 😀 It such a joy for me to share and hear from all of you. Thank you, Karen. 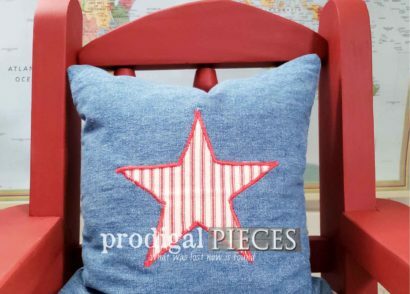 What a great idea and I love how it turned out !!! 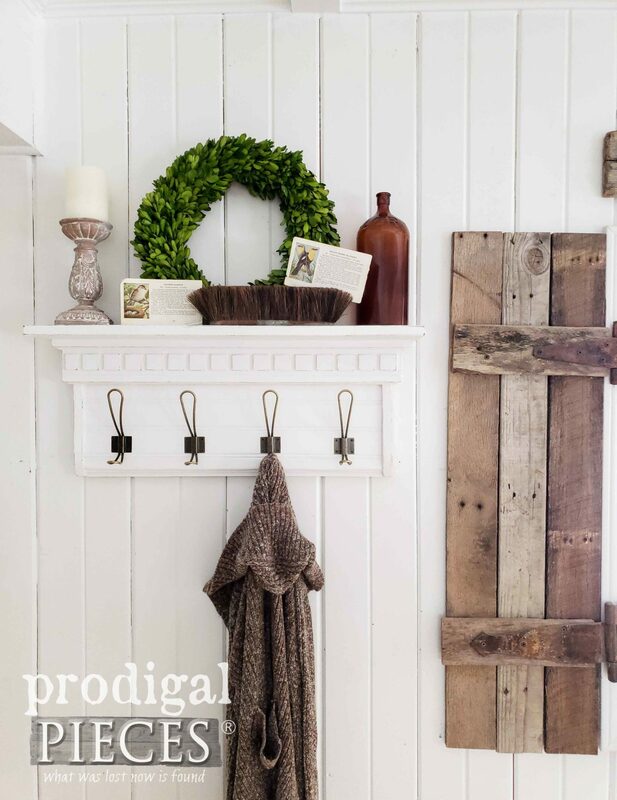 I’m going to be on the lookout for shelves like this so I can make one for my back entrance. Larissa, I wish we lived closer as we would be the best thrift store searching friends ever !! They come in so handy for different spaces. We would have a blast! Awesome re-do of the shelf into a coat rack! High-five from me! 😀 Thank you, Nancy. Great idea! Love all of it. Such fun to hear. Thanks! What a difference! 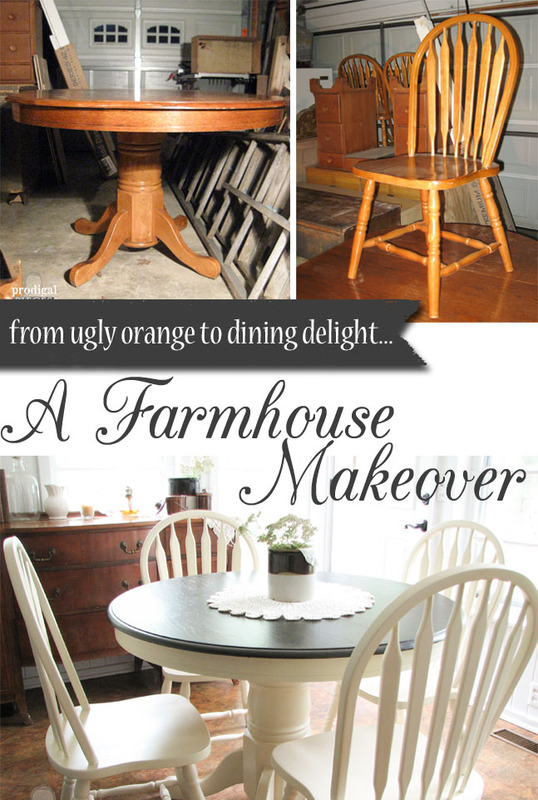 Such a simple change turned fabulous! I would love to have my own sander to use on so many projects I have collected. I think I would start with the stool my kids use while practicing at our keyboard to start. It definitely needs a redo!!! Thanks so much for the chance to win this awesome giveaway! That’s what makes these so fun and doable. I think I’m slightly addicted to hooks! hahaha! Fantastic! Thank you. You are a gal after my own heart, Melanie. Love it! Great cover up! Great job, Larissa. You can always see the potential in everything. Your kind words mean so much. Thank you, Judy. 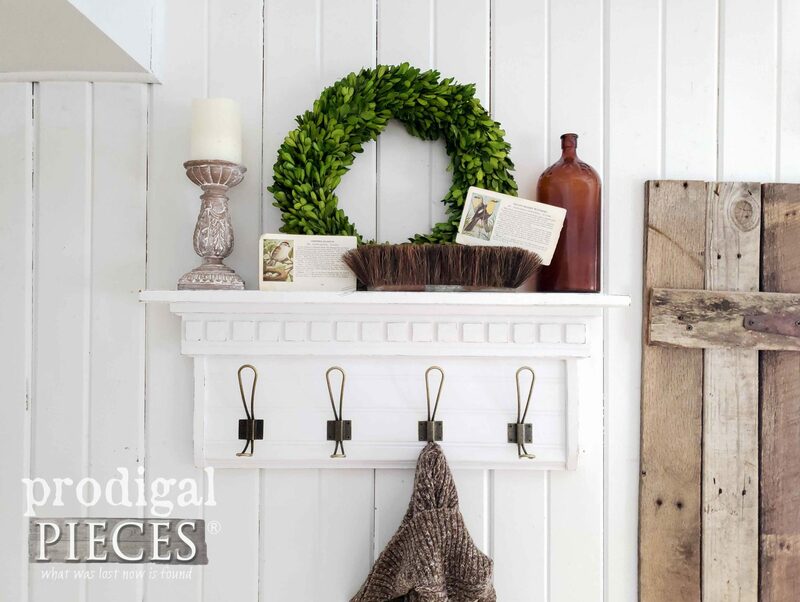 You inspire us with the most wonderful reuse recycle finds. How sweet of you to say, Anita. Thank you. I love the coat/hat/towel racks!! My favorite is the long cabinet door racks. Great idea! Yay! So fun for me to hear. Thanks! I’d love to see your scarecrow. Your giveaway is FANTASTIC!!! Oh the THINGS that cordless sander and I could do… I have this cute little cupboard that some poor innocent painted… and then gave up and donated …with latex over oil. It needs a small sander, and a lot of sander action! I can picture swigging my coffee while slapping a nice new coat of PRIMER (haha!, NOT latex!) 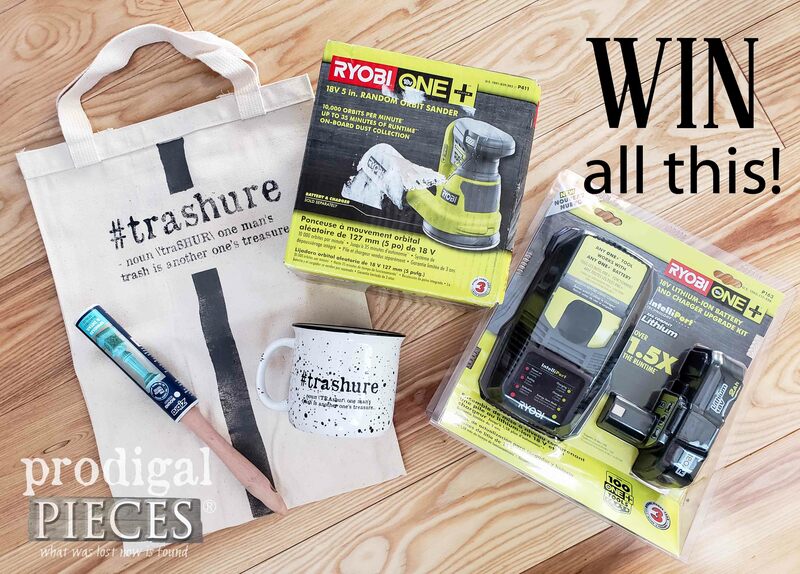 on, and who can’t use a cute tote bag to store their new tools in?! You’re the best! Thanks for this! Yeah, baby!! 😀 Sounds like a Pinterest fail…haha! Ya never know if you just sanded it back a bit the chippy look make look cool. Have fun! Love this! 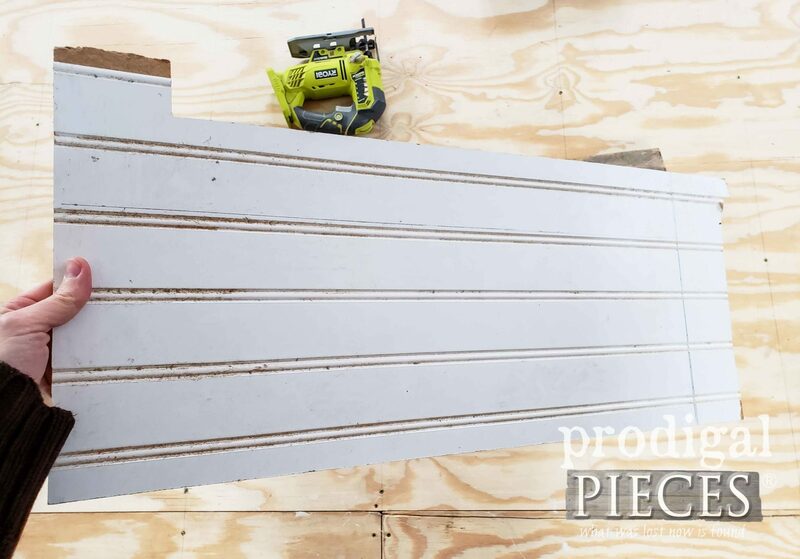 The beadboard completes it! Any of these racks would look great in my guest bath for towels! That sander would come in handy for so many things! I love your coat racks that you made! So inventive! It would be so cool to have that palm sander to give to my daughter. 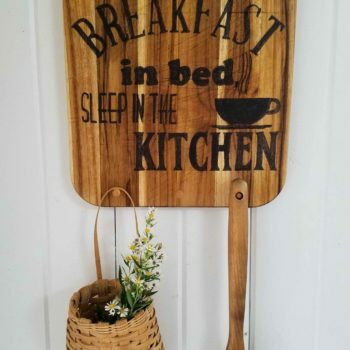 She just started making signs this past year as gifts to friends and family with scrap wood and it would make it easier to use the palm sander to finish the pieces quicker! Thanks! You are an awesome mama to think of such things. Hugs! You are so fun. Thanks! I just love watching how you converse a throwaway into something so beautiful. I love it! You got me starting to look at peoples trash for pieces I can redo. Wonderful to hear. Thank you for that and for the giggle! Here’s to #trashure! Larissa … I love what you have done with that shelf (one of my favorites). And ~ i have to say that I really love, Love, LOVE the hooks that you used!! Thank you so much for all you you ~ you are an inspiration! I have a cute little shelf I have been wanting to redo. It came to me with an awful, partial paint job. Thank you for the opportunity to win! You are so sweet, Kelly. Thank you so much! That’s a great transformation! I have a vintage dresser that needs a good sanding. Would 💕 to win! Thanks! Sounds like DIY fun ahead. Love the shelf Larissa! 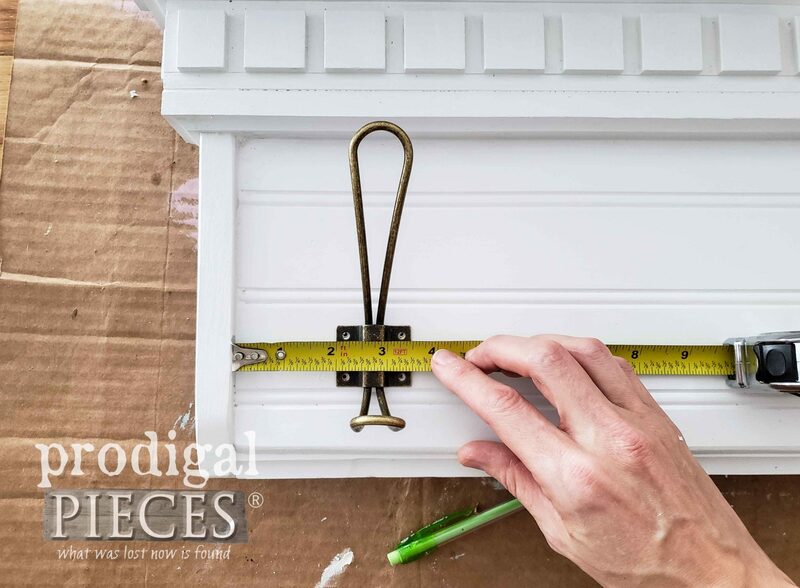 I had something similar in mind but switching out the bead board with yardsticks stained with three different stains to make them look older. I have some antique hooks to use that I have picked up when I was picking last summer. Now just to find the time between my other projects to get it done! Thanks for sharing! Woot! I debated on that as well as I have some broken ones I don’t mind using. I was kinda trying to keep it simple so anyone can do it, but I love that idea too!! I’d love to see it when you’re done. Thanks! Those were such an awesome gift. Great for the dog leash! Love the look! Yes! I was just saying that to my kids too. haha. I would use the sander to attempt to build shelves in my room. I have a very narrow attic, meaning I have to slide on my belly to access anything. I thought about screwing some planks to slide across, but I would need the planks to be very smooth so I can pull myself without becoming a pincushion for splinters. This palm sander would be perfect for that. Oh my goodness…yes! We have similar things here and know what you mean. Love the transformation from outdated food shelf to gorgeous coat rack! Your vision always amazes me and can’t wait to see what you’re going to do with those ugly plaques..haha! 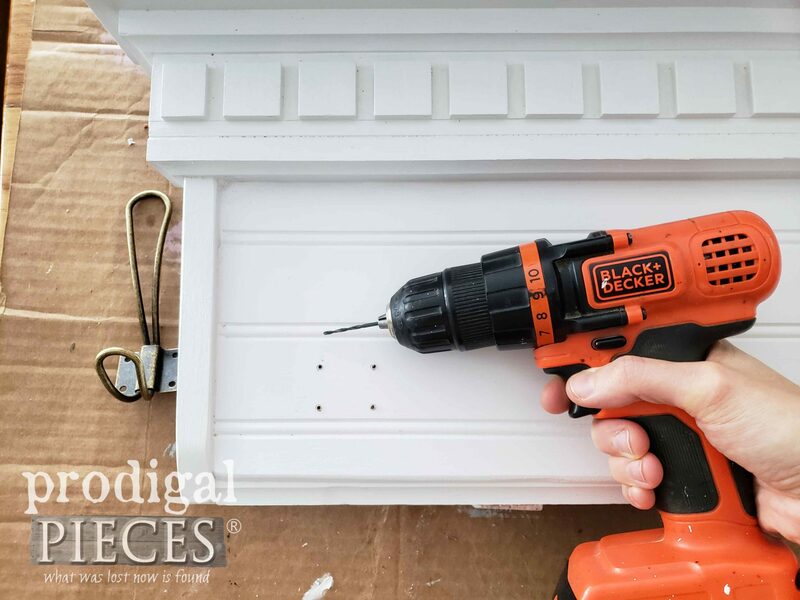 I could definitely use some power tools as I have several pieces that need makeovers and I’ve got to where it’s hard for me to sand by hand. Thanks for the giveaway and can’t wait to see what you’ve got planned next! Enjoyed the post, I’d use the tools to make a mantle for my fireplace. Good to hear. That sounds like a great project. Arthritis makes sanding hard as many of you readers know so I could really use a sander. I will look for a similar wooden piece to up the use of it. Great job. So cute! 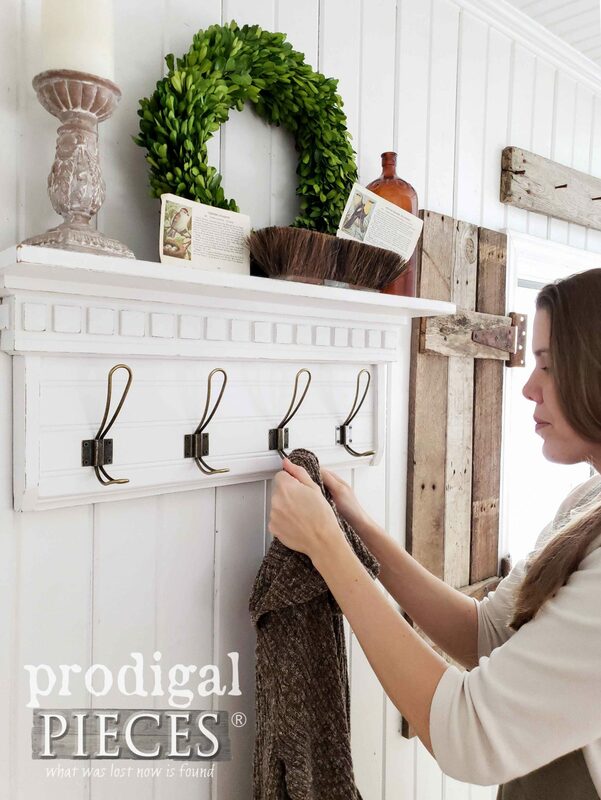 Those hooks are now on my wishlist for the coat rack project I’m scheming from my own entry! Ooh…sounds like fun! I told the kids I would love to switch out all 99 of ours…eep! Such great projects! I love how they turned out! Thank you for sharing the link for the hooks! They are in my shopping cart! Can’t wait to use them on something for the shop! They are perfect, and the price is awesome! You never ceases to amaze me with your talent and eye for details! Thanks so much, Jeanette. They are my favorite hooks thus far and so handy to use for this and that. Have fun! Sooooo much better! Great job as always. Love the hooks. I always enjoy your posts and your creativity! I have a table I am fixing up , thats what I would do with the winnings! That’s wonderful to hear. Thank you, Dale. The coat raacacack is so cute and useful. I need one by each door! You truly make me look twice at all the ‘meh’ items at our local thrift shop! Don’t we all? haha. With my gang of 6 I have a lot of hooks around here. 😀 I’m so glad you’ve got a new “eye”. Love this idea, I need to do this! Love All the racks. I made a small one w/ a piece of casing trim and some screw-in cup hooks, ’cause that’s what I had to work with. It works great. Thanks! Yes, they’re a favorite thing of mine to do. By looking at all my past creations you’d think I was a coat rack addict. haha! The scrap ones are my favorite to build too. 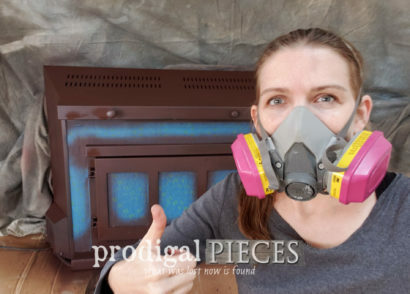 If I won the giveaway, I would use the sander on an old table that needs some love. Larissa, you made that shelf look so good and useful now and it also looks so much better as a coat rack, now that you’ve had you way with it! The other two coat racks are just as beautiful!!! I enjoyed watching your You Tube video as well. Thank you for the opportunity to enter you very generous giveaway too! Stay safe and warm!! This giveaway is fantastic! I love your cabinet door coat racks! So simple and so clever! I’m definitely going to have to go to a Habitat Rehab to fine some long narrow ones like those. I love them! I have a thrift table just waiting for a makeover! Wow! 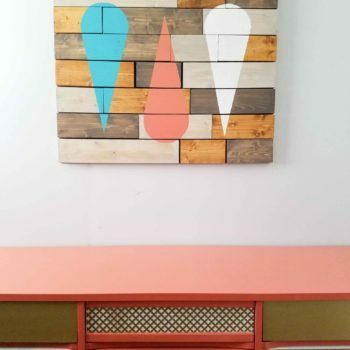 Love the transformation of the coat rack with the bead board & the color. The hooks are wonderful too! This makes me want to transform something. I will have to look through my stash & see what I can come up with. You are an inspiration! That’s the spirit, Sandi! I’m so pleased to hear it. Thank you! Love the transformation! 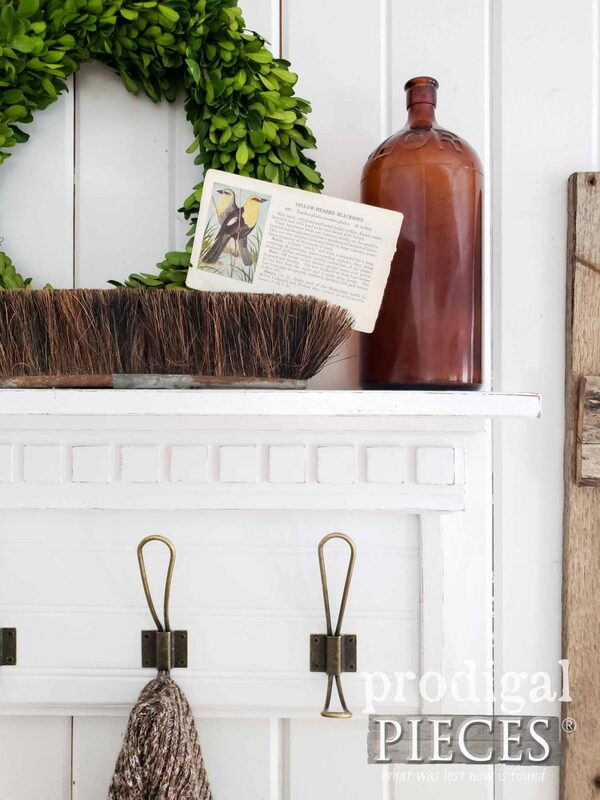 The hooks are very farmhouse! Thanks! This was fun for me. Love a coat rack and you did a great job. Had one at old house but no place for one in this house since so small of an entrance. Think I will add similar one to back door going into garage. They make it so handy to have around. Love the makeover! I’ve been wanting a place for towels and something like this would be perfect. The hooks are awesome as well! Thanks for the inspiration. It sure makes it nice to have everything in its place. I would use a new sander on an old armoire that is serious need of a new look. 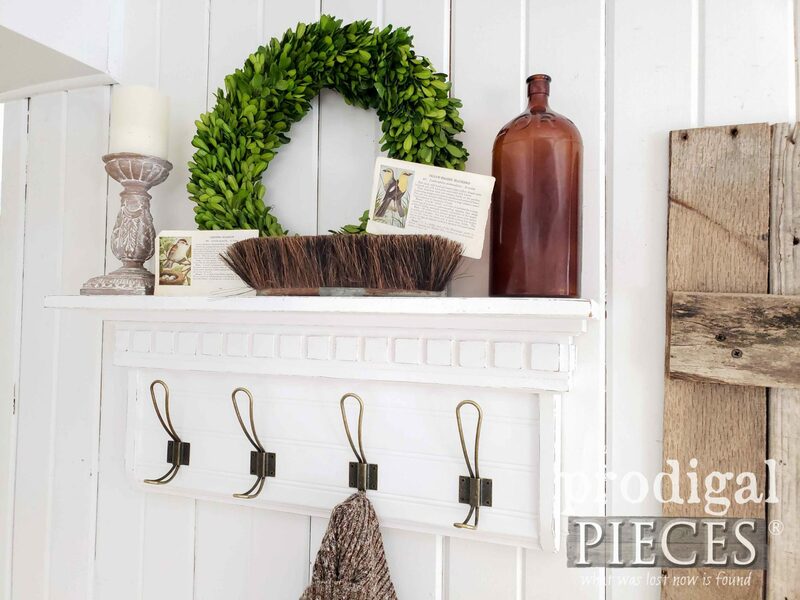 I love how you used the beadboard to change the look of this dated shelf. The hooks spacing hint is very helpful. Thanks! Fun! It makes it easier to know how to figure it out. I recently trash picked some cupboard doors since I always love what you do with them. I can’t wait to get started! How fun to hear! I can’t wait to see what you do with them. Wonderful job….I love this rack! I will be keeping my eyes open for similar pieces at the thrift stores. Thank you for the opportunity to win such an awesome prize package! Thank you, Dale. It sure is fun to #trashure hunt. Woot! Absolutely love how these turned out!! You sure are the queen of upcycling!!! Aww…you are too sweet! Thank you for the smile, Sam. Would like to redo a bookshelf we have. 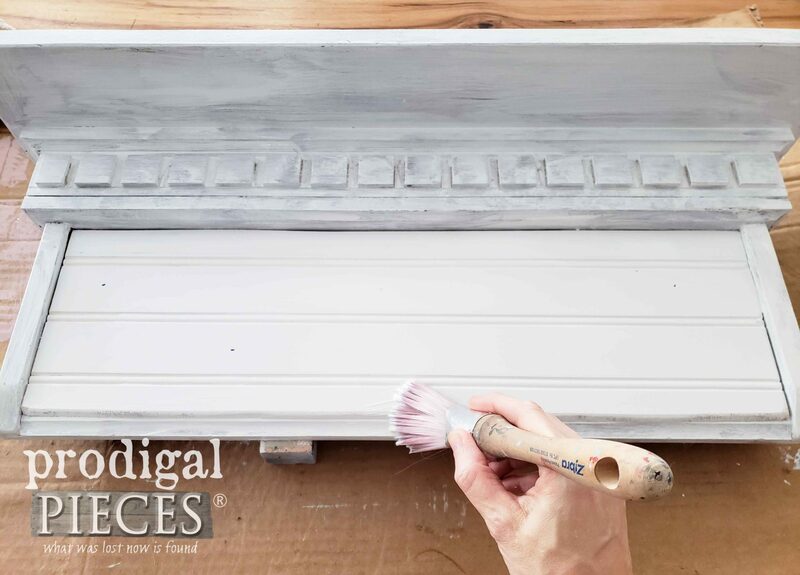 I keep going to thrift stores now and just got a miter box and saw and am upcycling some old canvases to farmhouse signs! You do inspire us! keep up the great work! God bless! Oh, how exciting! 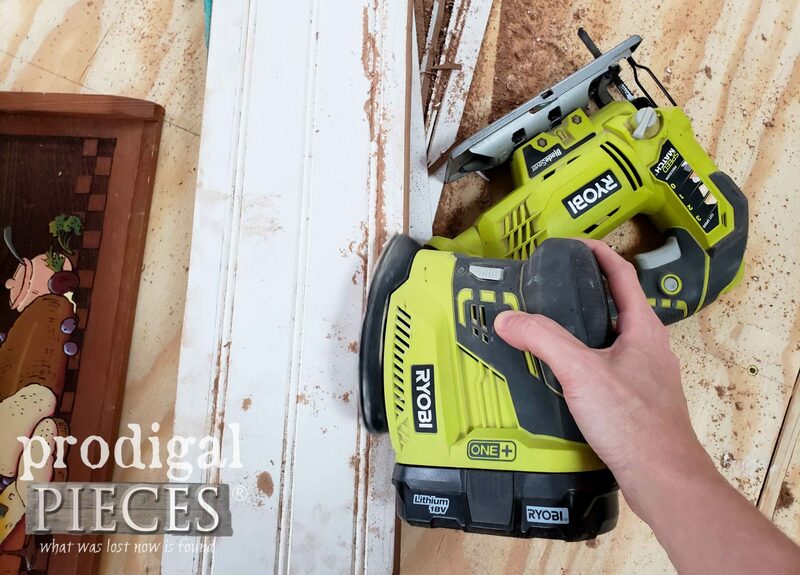 Having tools in any form is a gateway to a whole new world. Hugs to you! Ido love your piece, Larissa! My first project would be a small bench I’ve had 4-ever! It’s got plenty of nicks, scratches and ugly painted flowers on it. I could turn that bench into something really pretty and useful! Can’t wait till this summer when I get my own shop so I can use some of your ideas. You do a great job. You and me both. I miss my woodworking. 🙂 Thank you for the kind words, Bonnie. Thank you for saying so, MaryAnn. Beadboard is a favorite of mine! 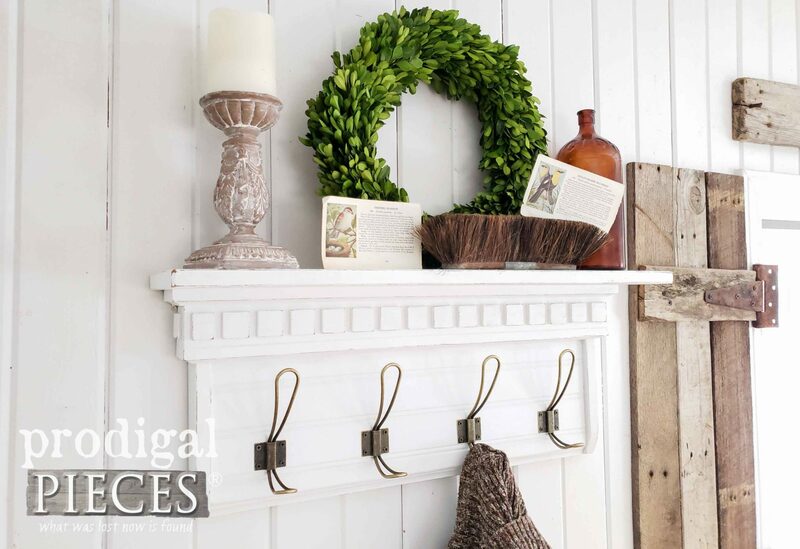 Love the coat hooks too! I love everything you do and enjoy seeing your shop. You inspire me. I have an old nightstand I’d like to get some new life into. Love your tutorials! You always inspire me because you make things seem so do-able! The coat rack turned out great. Wonderful to hear. Thank you, Lynn. First I would use the bag to shop for paint & stain. I have a side table with spindle legs that needs to be made over. I would use the sander to ready the top for stain & the round brush to paint the legs. Then when I’m done I will enjoy a cup of coffee in my trashure mug. What vision! I am nervous to try some things but working on gaining a comfort level with painting. Have made over a couple of small pieces so far and having fun. I have some wood pieces from an 1822 church that our Heritage Association is restoring. I have some projects in mind and the sander would really come in handy! I get so many great ideas from you! I have an old tv stand I would like to fix up. Love that coat rack, great job. I also need one. I would use the sander on my dresser I had as a child. It is over 50 years old and really excited to tackle this project. You sure do beautiful work and have such creativity! Sounds like the perfect project piece. Yay! What a transformation! Amazing! You are so good with those tools! Hope to win some! Ha! I forgot to tell you what I would do with the tools! I have countless projects to work on. The tools would certainly help make the work easier. I desperately want the brush! Everything is fantastic and would make me very happy! I love the coat rack. I want to make it. Beautiful job Larissa! You’re such an AMAZING inspiration! Everything you do turns out just perfect! Keep up the great blog! I’m looking forward to many more post from you!!!!! It’s a pleasure to have found you!! I’m so glad to have you along for my DIY fun! 😀 Thank you for the encouraging words.